Steven J. Taylor, Centennial Professor of Disability and director of the Center on Human Policy at the Syracuse University School of Education, died at his home in South Onondaga on Nov. 8. He is survived by his wife, Betsy Edinger, son Jeff and daughter Lea. He also leaves behind two sisters, Nancy Black and Kathy Miller, a brother, Ron, and sister-in-law, Janet, and the children, grandchildren and great-grandchildren of his sisters and brother. Born outside of Pittsburgh, Pennsylvania in 1949, Taylor was a graduate of Bishop Canevin High School. He received his bachelor’s degree from the University of Pennsylvania and his master’s and Ph.D. degrees in sociology from Syracuse University. After holding positions at the University of Minnesota and Cornell University, he returned to Syracuse University in 1979. He was appointed director of the Center on Human Policy in 1983 and served in this role until going on leave in the fall of 2014. During his time at Syracuse University, he held faculty positions in special education and cultural foundations of education. He was also coordinator of disability studies and helped to establish Syracuse University’s disability studies program, the first in the nation. In 2008, he was appointed Centennial Professor of Disability Studies in the School of Education. He was a frequent presenter at national professional and disability conferences and lectured at universities across the country, including Notre Dame, Harvard and Vanderbilt. He also gave lectures or keynote addresses in Canada, Sweden, Finland, Japan and Iceland. From 1993 to 2o11, Taylor served as the editor of Intellectual and Developmental Disabilities, which is published by the American Association on Intellectual and Developmental Disabilities. He was the chair of Syracuse University’s Institutional Review Board for the Protection of Human Subjects from 2000-2006. Taylor was the author or co-author of 13 books and over 100 professional articles. 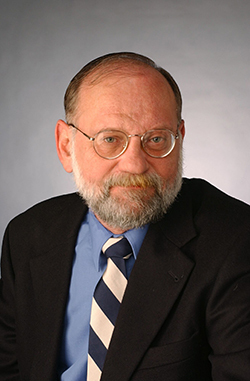 The fourth edition of his book “Introduction to Qualitative Research Methods,” with Robert Bogdan and Marjorie DeVault, is scheduled to be published in 2015. As director of the Center on Human Policy, Taylor obtained over $17 million in federal, state and private research and training grants and contracts on disability policy, advocacy and the inclusion of people with disabilities in society. He also advocated for the rights of people with disabilities to community living, accessible public transportation, school inclusion and integrated employment and for home and community supports for their families in Onondaga County, New York State and nationally. He worked closely with Central New York disability and family advocates to achieve the closure of Syracuse Developmental Center and the movement of its residents to community settings in 1998. Throughout his time at the Center on Human Policy, he enjoyed the support of dedicated and loyal staff and Cyndy Colavita, Rachael Zubal-Ruggieri, and Pam Walker in particular. Alan Foley and Wendy Harbour filled in for Taylor while he was on leave. Taylor was the recipient of numerous professional awards, including the 1997 Research Award from what is now the American Association on Intellectual and Developmental Disabilities, the 2003 Syracuse University Chancellor’s Citation for Exceptional Academic Achievement, the 2008 Senior Scholar Award from the Society for Disability Studies and the 2011 Presidential Award from the American Association on Intellectual and Developmental Disabilities. He also received the 2010 Peace Studies Media Award of 2010 from the Central New York Peace Studies Consortium for his 2009 book “Acts of Conscience: World War II, Mental Institutions, and Religious Objectors,” and this book provided the basis for a story on National Public Radio in 2010. Taylor considered Jeff and Lea to be his major achievements in life. Donations in Taylor’s name may be made to the School of Education’s Legacy Fund for Disability Studies and Human Policy. A memorial service for Taylor will be held at Hendricks Chapel in the near future.